Another September trip to Nebraska, and a chance to see our radio collecting friends! 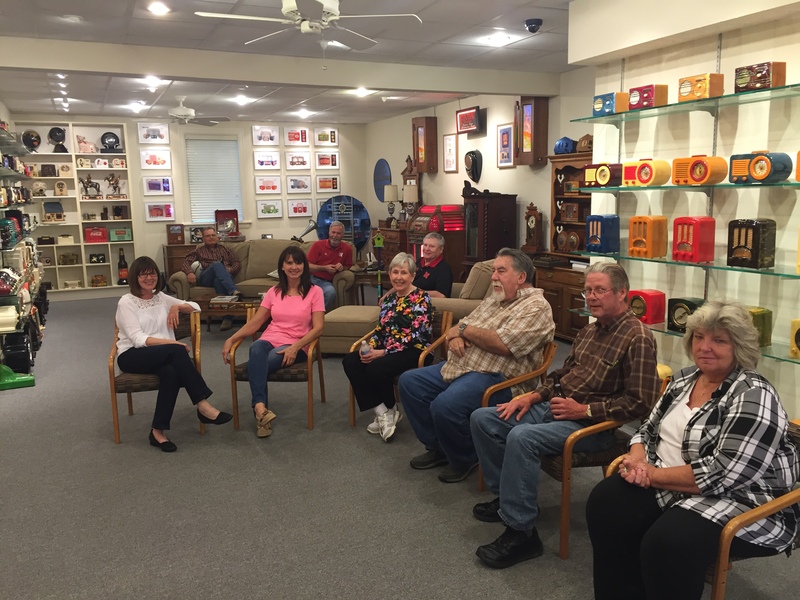 From left to right: My wife Jeannette, brother-in-law Gary Wohlman, his wife Julie, Jon Walker, Jane Hunt, Hugh Hunt, Bob Smock, David O’Hanlon, and Bob’s wife Linda. 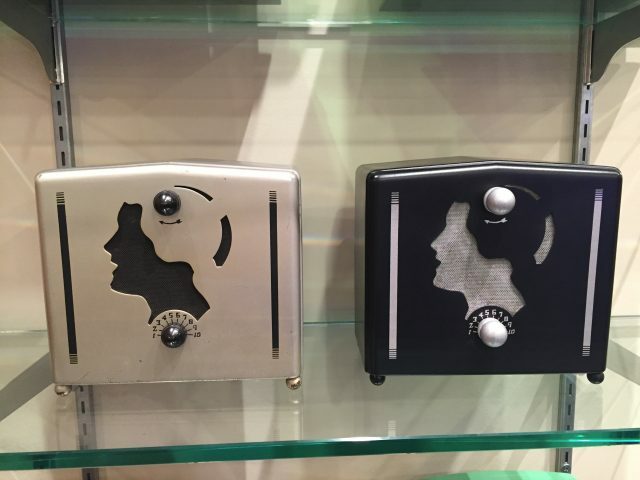 Hugh & Jane always host our get-togethers, and we get a chance to see their new radios, like these Stewart Warner “Silhouettes” or “Lady’s Head” radios. The knobs on the left radio are Emerson knobs, so Jon Walker…who helps Hugh with needed repairs and detailing…will fabricate wooden knobs like the ones on the black version of the radio. Of course the knobs will be black. Here’s a photo of Jon and me. (I swear I smiled right after the photo was taken.) 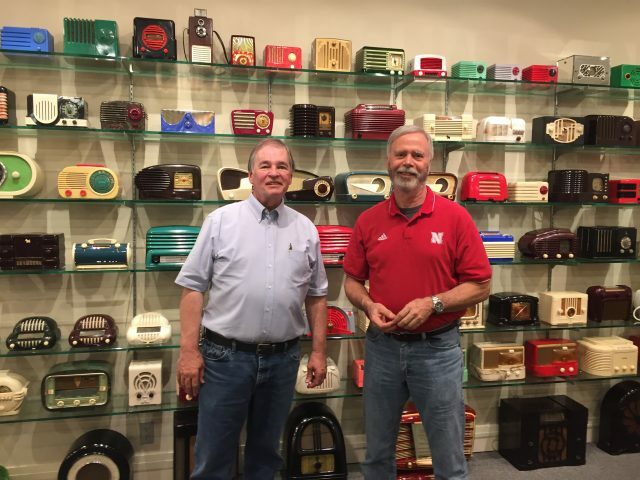 If you click to enlarge the photo and look closely at the gold Stewart Warner radio above our heads, you’ll see it also has the same type of knobs Jon will be making. Jon is not only an excellent technician and handy person to know, he also has an extensive collection of Phonographs, Radios, Jukeboxes, and so much more! Hugh & Jane made the trip even more special for us. They got us great tickets to the Oregon-Nebraska football game! We’re fans of both teams, but had to go with my alma mater…Nebraska…for this one. 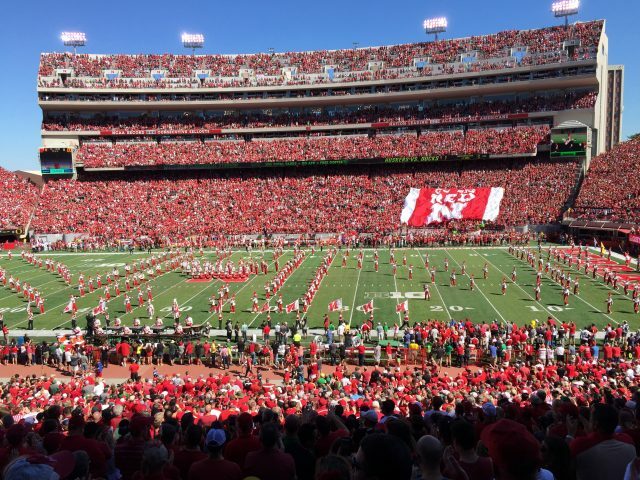 The Huskers won 35-32, but it could have gone either way. 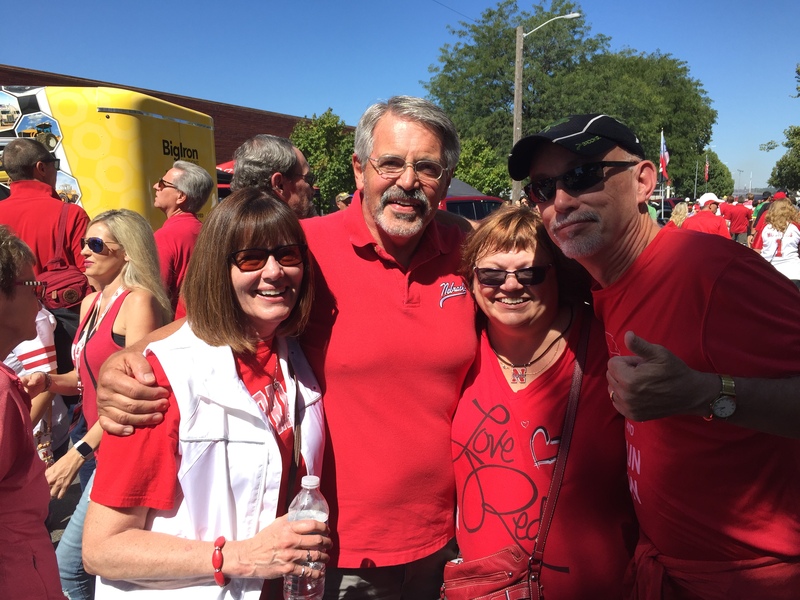 We attended the game with our good friends (and radio collectors) Al & Mary Kay Koontz…on the right…and ran into another friend, Avery Pickering. All four of these friends have done Marathons and Half-Marathons together. 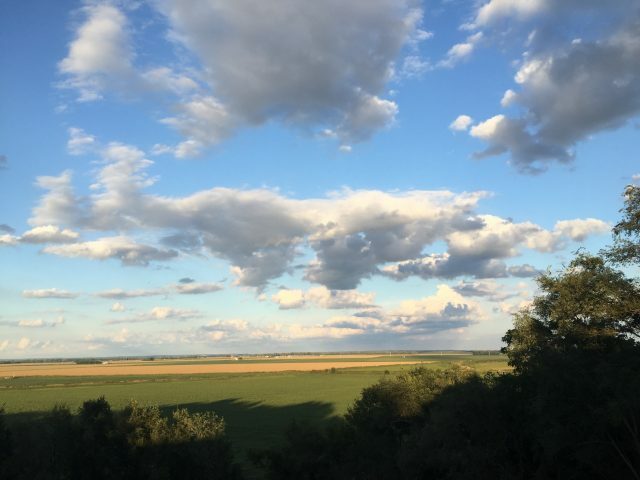 Here’s a photo taken in the early evening from the back deck of Hugh & Jane’s beautiful home in Blair…not far from the Missouri River.